Fusion OptIx unique light guide platform has recently expanded to included patterned, non planar form factors. 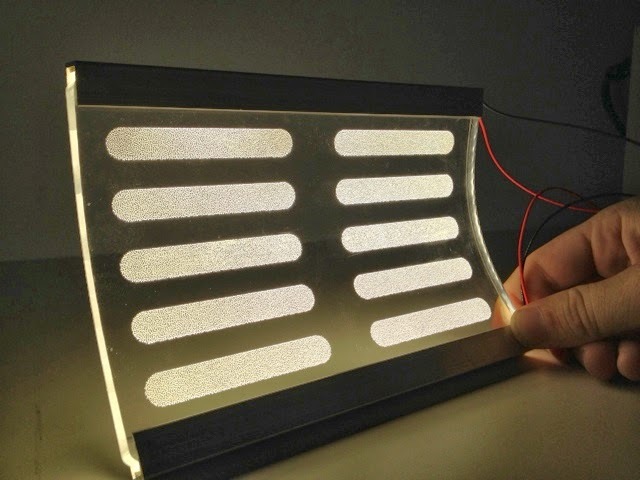 Our approach requires no up front tooling and it’s now possible to go direct from computer generated layouts to fully functional high efficiency light guides in rapid prototyping phase. 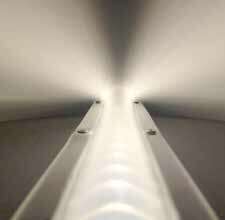 Fusion Optix Printed Light Guides are a great solution for your edge-lit light guide needs. With several different extraction side options, as well as an extensive range of possible form factors and surface finishes, Fusion Optix printed light guides can be integrated into nearly an lighting application: from signage and architectural lighting to downlighting and wall-washing. More information email sales@fusionoptix.com or call +1 781 995 0805. Alternatively fill in an inquiry form on our website.